So Father’s Day hits us tomorrow, and if you’re still scrambling for a gift idea – head to Molton Brown stat! I’ve already given you a sneak peek at their amazing eye roller here, an awesome moisturiser here and a luxurious fragrance here and if you package all these treats into a hamper with a bottle of something lovely, you’ve got yourself quite the gift basket! My final idea is Molton Brown’s wondrous Thickening Shampoo. I’m pretty sure men always want more hair, it’s the same way they collect watches and wine, so to keep everything looking lush, Molton Brown has just released their new Thickening Shampoo. First of all, this stuff smells divine – the shampoo is blended with ginger extract to volumize fine hair, and it has a gorgeous true ginger scent. It’s not sweet or cloying, just very clean with a hint of warmth, basically exactly how you want your hair to smell. The volumising properties are no joke either. After using the shampoo, my hair felt nourished and looked shiny, and despite just giving it a rough blow dry, it had volume which lasted all day. 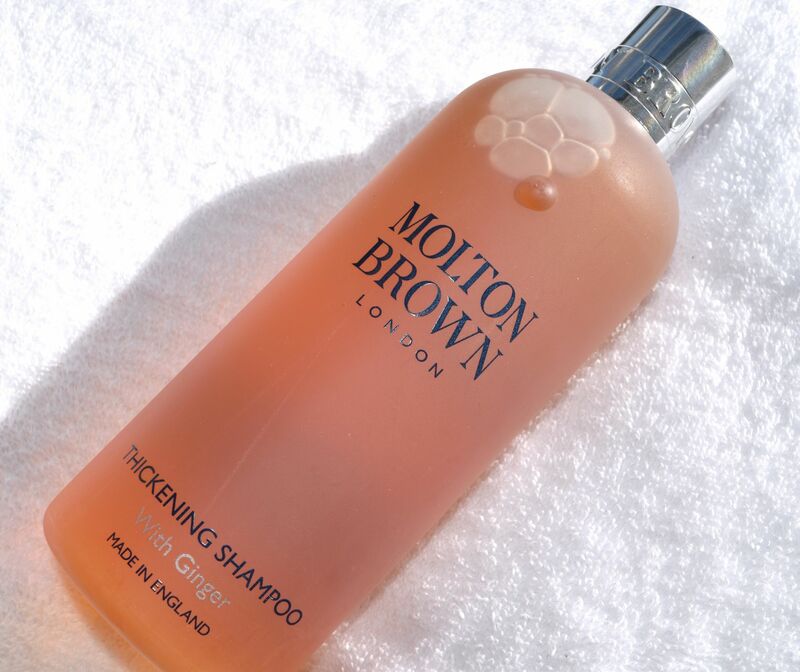 Molton Brown’s Thickening Shampoo is priced at £18.00 and is available here (UK) and here (US).